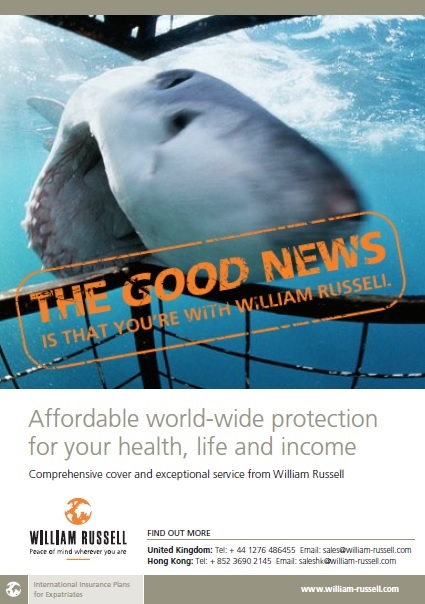 William Russell provide insurance services to expats. They approached brand and design agency Hello to help them articulate their offering with a series of press ads in magazines aimed at this target audience. And Hello asked me to come up with some concepts and headlines. The challenge was that the marketplace was crowded with much bigger competitors who could afford to run much bigger ads. So it was a case of differentiating them from the competition and doing something that would grab attention. I subscribe to the view that any ad that doesn’t get noticed is a complete waste of money. 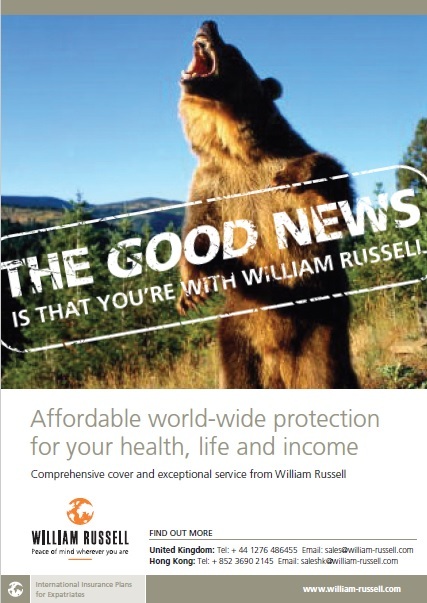 But people in the insurance industry come at things with a very particular mindset. They are highly risk-averse (that’s the whole point of their business, to avoid and mitigate risk). So they like ads that are very straight and boring – anything that might startle is to be avoided. That’s just the way they are, personally and corporately. However, to get noticed, to challenge the monolithic brand leaders like AXA and Aviva, you are going to have to shake people up a bit. The guys at Go Compare, Money Supermarket and Compare the Market figured that out a long time ago. Are their commercials quiet, shy, retiring? Hell no! They’ll go to any lengths to get noticed, even if it means annoying the hell out of people (remember that awful opera singer? ).